Wearable computing is the next step after the smartphone ‘fad’ ends. This my opinion is backed by a report released in April by Forrester Research. The report predicts that consumers will begin experimenting more with wearables over the coming year, specifically around health and fitness, navigation, social networking and gaming. These devices include Smart watches, hand bands, Google Glass…etc. Currently Samsung, Apple and many others are clamouring for the smart watch throne, Google attempting to reinvent the wheel and companies such as Nike have bands for fitness. • This is mostly a great thing as these devices seem to be less intrusive than the smart phone and can be successfully integrated into one’s lives. • As technology gets smarter so do these devices and they’re small in nature compared to standard smartphones, this allows them to be easily ‘worn’ and quickly go unnoticed by the user, in terms of weight & feel. • With proper speech analysis and refined algorithms communication between the user and the device is ‘more natural’ than touch-type or button presses. • Hope we all noted that Bluetooth headsets didn’t quite catch on as cool, they made on seem dorky and conceited. 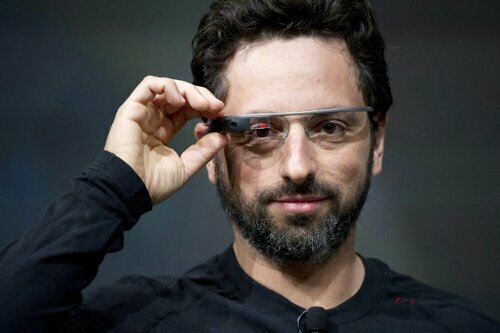 Wearable devices such as Google Glass face the same predicament. • Privacy issues and the amount of data collected and where it ends up. from the bands to Google Glass, privacy is an essential entity that needs to be properly managed. • Battery Life. If smartphones barely can make it through a day, will the devices manage to do the same based on similar technologies. they would need to operate and communicate at low power levels and clock 24hrs at the least with moderate use. All in all, this in the new NEXT. Change is always met with opposition and confusion but later we’ll be thankful for this next step in mobile computing, just as we are thankful for the smartphone era. Next articleSamsung Galaxy Gear: Could Samsung shape the next big consumer tech product?